Send unique, tasty birthday treats today! 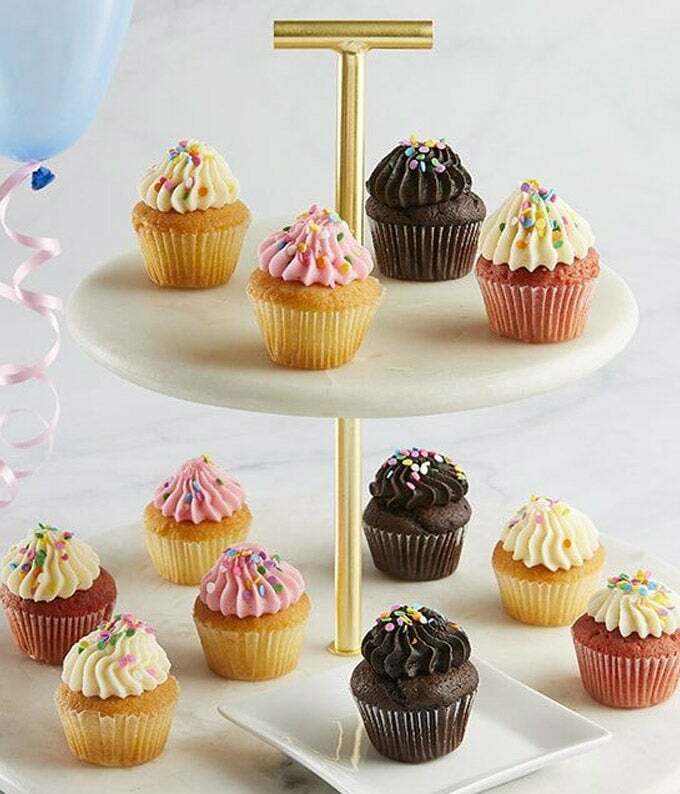 This delicious set of mini gourmet cupcakes will make your recipient's mouth water. They'll enjoy not just one flavor, but four! Twelve freshly baked chocolate, vanilla, strawberry and red velvet cupcakes will arrive at their doorstep just in time for their special day. These delicious cupcakes are kosher certified by OKS Kosher.